Buffalo-style chicken wings are very popular, so I thought I would prepare them for one of the items at Bill’s big 50th Birthday bash! They are easy and it seems like every time I serve them they go quickly. This time was no different! I picked up a big bag of raw wings at Costco and decided I would make a couple of different flavors for the party. 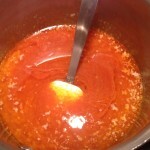 My buddy Pete gave me this quick hot sauce recipe and it was great on the wings. 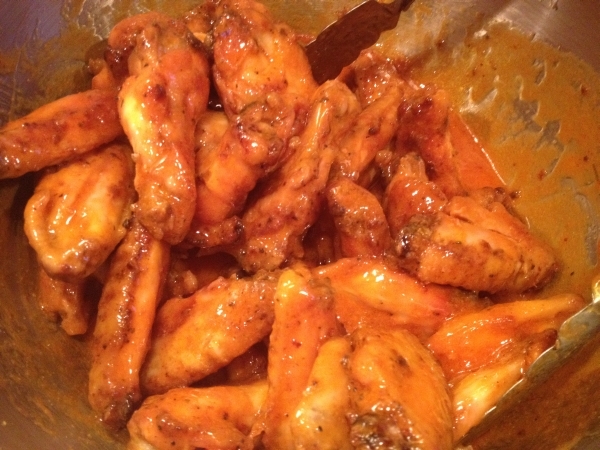 I use Italian seasoning salad dressing mix to season the wings for baking to keep things simple, but flavorful. To prepare the wings, thaw and rinse well. Allow to dry or pat with paper towels. Using hands, rub the oil and seasoning packets into the wings; tossing and coating evenly. Place on large cookie sheets that have been lined with aluminum foil and sprayed with non stick spray for easier clean up. Divide and place wings on sheets spreading out in a single layer. Bake in preheated oven at 400. Bake wings until cooked through and skin is crispy, 45–50 minutes turning frequently. 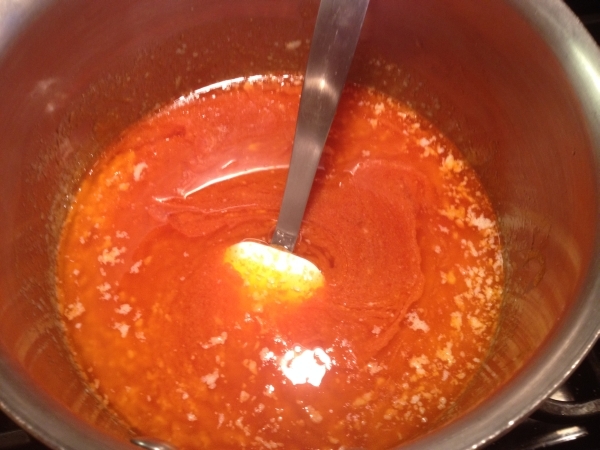 Use a tongs to remove the wings from any access fat and place in large mixing bowl. Meanwhile, melt butter in a small sauce pan and combine with other sauce ingredients. 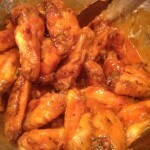 Toss half of the cooked wings in the hot sauce and serve immediately (no need to bake after adding sauce). Toss the other half in a sauce of your choice. I chose a golden BBQ for variety.